A bevy of Angelenos joined forces with Hubbard Street Dance Chicago and its artistic director, Glenn Edgerton, to make a June 1 gala fundraiser a rousing success. 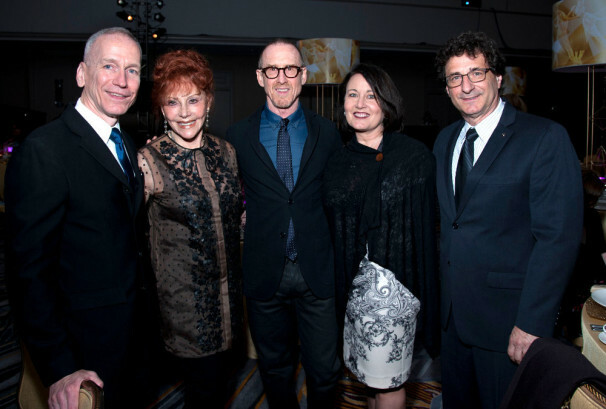 Los Angeles philanthropist Glorya Kaufman presented an artistic Spotlight Award to renowned choreographer William Forsythe, associate choreographer with the Paris Opéra Ballet as of fall 2015, and incoming faculty member and artistic advisor for the Choreographic Institute at the University of Southern California’s Glorya Kaufman School of Dance. Also visiting Chicago were Robert Cutietta, Dean of the Thornton School of Music and the Glorya Kaufman School of Dance at USC; and Jodie Gates, Director and Vice Dean at USC Kaufman, which later this year embarks on a new partnership in dance education with Hubbard Street. Chicago Mayor Rahm Emanuel also attended the event. Emanuel’s ballet background was disclosed in arts·meme in 2010. The gala event raised more than $800,000 for Hubbard Street’s artistic, community-focused, education and youth programming. Mayor Emanuel presented an award to the company’s admirable corporate sponsor, Archer Daniels Midland Company, accepted by Patricia A. Woertz, chairman of the board of ADM.
Hubbard Street Dance Chicago is prominent on the Los Angeles dance calendar for next season, delivering their collaborative effort with theater troupe, The Second City, at the Dorothy Chandler Pavilion in Nov 6 – 8, 2015 as part of the Glorya Kaufman Presents Dance at the Music Center series.